Saunders physical therapists provide management of head and neck problems with a team approach that includes the dental professional, physical therapist and other medical professionals as needed. We understand this is an essential part of treatment program for successful management of TMD. Temporomandibular joint disorders and facial pain can affect people of all ages, and can be problematic because they affect several aspects of daily life including eating, talking, laughing, and other activities. Musculoskeletal Evaluation: This includes posture and its relation to TMJ dysfunction, muscle imbalances of the jaw and neck, and biomechanical evaluation of the temporomandibular joint, cervical spine and craniofacial region. Treatment: We individualize our treatment to meet your specific needs to allow you to return to daily activities. Treatment may include manual therapy such as joint mobilization, craniosacral therapy, and myofascial release techniques. Neuromuscular re-education also plays a large role to improve muscle imbalances and decrease strain on the TMJ and cervical spine. Instruction in diet and habit modification aims to decrease irritation to the tissues. Finally, we focus on instruction to help you independently manage symptoms through a home exercise program. 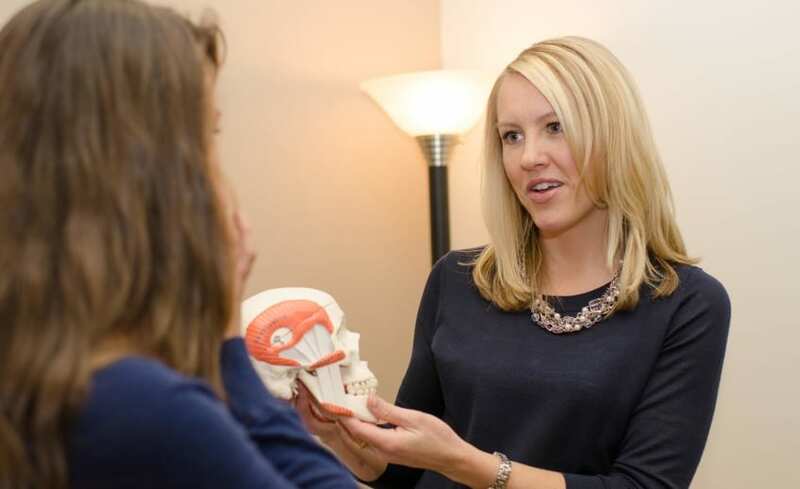 Saunders Physical Therapists are skilled in treatment and management of TMJ disorders.